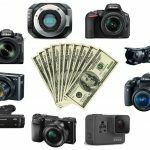 Your exact budget – If you’ve come here from our best video camera buying guide, you’ve been able to constrain your needs to list to a very precise budget-range. Although we’ve pin-pointed our budget today to $500 or below, there is still a difference between let’s say a $200 camera and a model that just hits the 5 bill mark. How much cash do you have saved up? How much are you going to want to set aside from finding the best model for you? 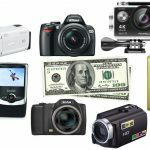 If more, check out our best video camera under $1,000 for a few more options if you’re looking for something a bit higher in quality. 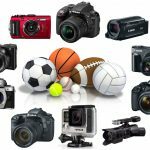 Video camera type – There are some main video camera types we’d like you to take into consideration when looking for your under $500 model. Here are some explanations of each — we made sure to include each type in our list in a few different price-points. 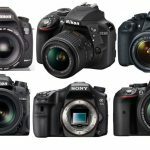 DSLR camera: Coming in as the most popular type of camera for both photography and videography, DSLR cameras give us amazing quality for a relatively affordable price. They’re also highly sought after for having interchangeable lenses, giving us endless possibilities for customization (and saving money — although lenses can be expensive, once you grab your ‘body’, you can tweak basically everything about it). Mirrorless camera: Giving DSLR cameras a run for their money, mirrorless cameras have a different internal build (they don’t have a mirror to cut the middle-man out of the processor and image capturing). This helps give the cameras some better autofocus (AF) systems as well as a different feel to the picture, albeit for a higher price. Action camera: The point-and-view videos we’ve all seen are capturing using these “first person” cameras. Usually smaller in size, they’re great for travel, versatility, and capturing quite a number of particular uses (extreme sports and what not). Point-and-shoot: Resembling what many would associate as a “digital camera”, many have video capability while giving us a compact and convenient size. They’re usually a bit cheaper than DSLR and mirrorless cameras, and are great for those in need of something smaller than a typical bulky camera. 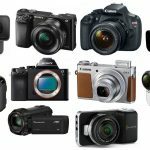 Camcorders: We all know what these look like, and although not as popular as the above mentioned, still have some popularity in the video camera world. Check one of these out for an easier use, strap to keep it on your hand (usually) to give you some more movement space, and more. 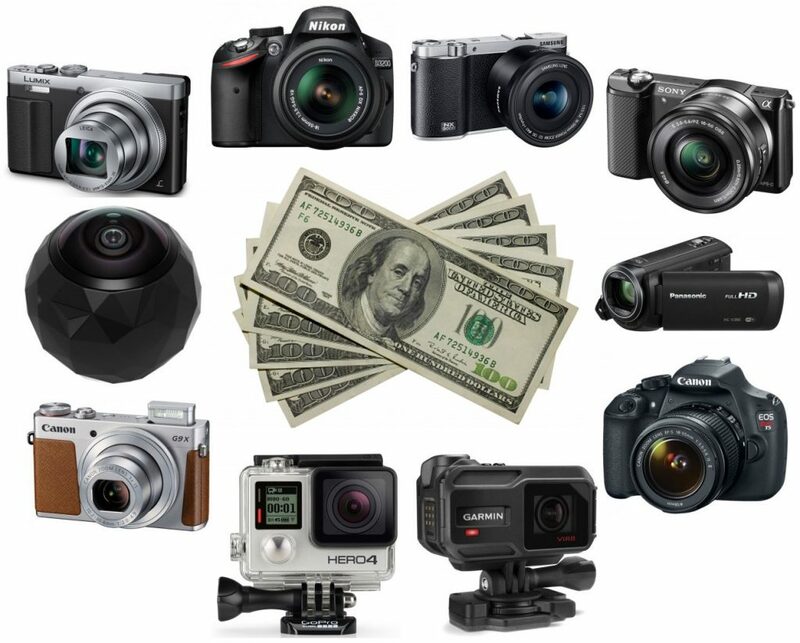 Intended use – This is a big question and since it’s hard to constrain this down to just a few popular uses, we want to at least keep in your awareness what you think you’ll be using your video camera under $500 for. Some frequent uses we’ve seen around and their answers include: filming sports (grab a good AF system, especially if the sport involves a lot of movement), filming music videos (if outdoors, check for low-light sensitivity), YouTube videos (any will do, especially if you’re vlogging), and more. If you do have a particular use and want a recommendation, let us know. 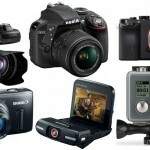 Extra camera gear – Do you have your video editing software yet? How about a tripod, carrying case, lens (for DSLR and mirrorless cameras), and more? Up first to start our list, we have one of our favorite affordable DSLR video cameras in the market today. You’ll notice the DSLR game is typically a Canon vs. Nikon for a reason, however for our price-point, the D3200 wins the race this time. This is a camera with a capable 24.2 MP and CMOS sensor for imaging as well as a lens for 18-55 mm VR image stabilization. In regards to video quality, you’re getting full HD 1080p and for photography, a decent ISO range considering the price from 100 to 6400 and an option for continuous shots. For some additional features, it comes with built-in Wi-Fi and NFC connectivity that will enable you to instantly transfer your photos or videos to your social media streams if you please. You can also express your creativity with numerous modes such as night portrait, portrait, close up, landscape, etc. If you are looking for a versatile and advanced video camera for both taking photos and shooting videos in different conditions, then the Nikon D3200 is definitely one of the best video cameras under $500 in the market, especially if you’re in the mood for a DSLR that’ll last you many years as an investment. If you weren’t feeling DSLRs and were in search of a capable mirrorless video camera that will enable you to take quality photos and shoot some awesome-quality videos, then the Alpha a5000 is definitely one of the best video cameras under $500 out there for you. 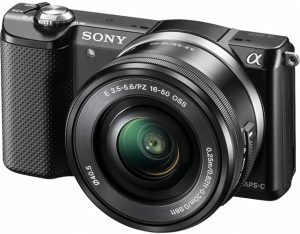 The reputation of not only this model but Sony’s entire Alpha series is continuing their dominance in the mirrorless category, especially within the affordable price-points. This 8 ounce camera comes with a 20.1 MP unique Exmor APS CMOS sensor and mirrorless design that gives a wide dynamic range, sharpness and excellent control over background noise when you are shooting HD videos. It’s equipped with a unique image processing feature that will offer speedy work on your videos or photos. With built-in Wi-Fi and NFC, you have the nifty option to instantly download your photos and videos on a computer and share online with an easy-to-use menu attached. The High ISO sensitivity (in a range from 100 to 16,000) of the Sony Alpha a5000 also ensures you will capture excellent images even in low light, making this one super versatile regardless of intended application. This one has a name for itself for a reason. Here have a traditional camcorder that gives many other advanced-types of cameras a run for their money. 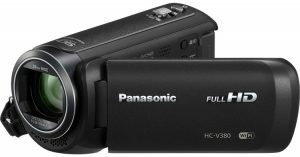 The HC-V380K is a great quality video camera under $500 that will help you shoot full HD videos in all types of conditions. It comes with a 2.51 Mp sensor (different type of sensor than DSLR and mirrorless cameras that get into the 20+ range), an incredible 90 times zoom, and 5-axis image stabilization (Hybrid Optical) that will help you take perfect videos even when you are on the go (great for sports) — a solid AF system (although not quite a mirrorless level of AF). When you want to create videos, there is 1080p Full HD video for your standard resolution to be up there with the rest. This one is equipped with a large 3 inch LCD touchscreen and a simple menu for easy usage. The Panasonic HC-V380K also includes built-in Wi-Fi and NFC connectivity for convenient transfer of photos and videos directly online. It’s recommended for those who want the camcorder feel, easy-to-use and smaller size, as well as amazing zoom that a lot of DSLR and mirrorless video cameras can’t compete with. If you are looking for another candidate for a DSLR that’s the best video camera under $500 out there, don’t forget to check out the EOS Rebel T5, a model designed to deliver both videos and photos of great quality considering the lower price-point. This is an 18 MP CMOS sensor (APS-C) camera with full HD 1080p resolution, a large LCD touchscreen and simple and easy to use menu, and a great battery life with quality build. Thanks to its unique intelligent auto mode feature, you will be able to combine different features (light optimization, balance of whiteness, exposure, etc.) to help sense the particular lighting conditions you’re in so you don’t have to fiddle with manual settings (if you’re using it for photography as well). 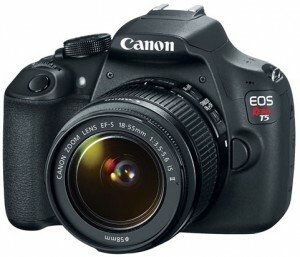 The Canon EOS Rebel T5 is another one of the best DSLR cameras we’ve seen with video priced at under $500. If you’re deciding between this one or our previous pick, we’d say grab the cheaper-priced camera at the moment. The GoPro HERO is one many of us may already know of. 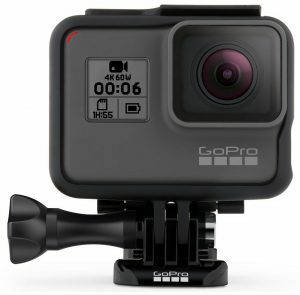 GoPro videos are quite synonymous with first-person action cameras (however gaining some worthy competitors as technology grows). Although the release of their latest HERO 5 cameras, this one is still quite relevant today (even more so as the price drops with newer versions coming out). The Silver is in the middle of their HERO 4 line, coming with a 12 Mp CMOS sensor that will enable you to take crystal clear photos as well as full HD 1080p videos (or 4K resolution if you fancy, albeit rather battery-draining). It is easy and simple to use thanks to its large LCD screen and simple menu — you can also use it via your smart phone with their GoPro app. The fisheye lens isn’t something everybody is a fan of, but the low-light sensitivity as well as waterproof capabilities (you’ll need special housing that costs extra) make it a great solution for those in wet or dark conditions. This video camera comes with many features for creative expression such as: simultaneous photo and video recording, continuous photos and time-lapse photos as well as a unique Pro-Tune option. Not to mention the hundreds of mounts and accessories that really allow you to customize the fit and feel depending on your use. We’ve loved the GoPro HERO ever since it came out because it’s right in the middle of their price-points and advanced features. To make our first point-and-shoot appearance, The Lumix DMC-ZS50 is definitely one of the best video cameras under 500 bucks in the market, thanks to its budget-friendly price yet advanced features, such as the 12.1 Mp MOS sensor, 30 times optical zoom, 24mm Leica DC Vario-Elmar lens and large 3″ TFT LCD Display. This is a capable video camera that will allow you to take high-quality, sharp photos and full HD 1080p videos in most conditions. The camera is equipped with alive view finder that will help you to achieve the level of precision you want, as well as a control ring that will enable easy exposure, focus and zoom control. The Panasonic Lumix DMC-ZS50 is great if you wanted a cheaper, smaller solution for a video camera under $500; however, keep reading if you wanted something a bit higher in quality. Here’s our back-to-back point-and-shoot video camera recommendation, and this one we have a bit higher in quality than our previous Lumix pick if you had some cash to spare. The entire PowerShot line really is famous among the P.A.S. category, however this is by far one of their most popular since it’s praised for the convenient compact size, light weight, great touch display, lighting sensitivity and raw image quality. For specs, it has a 20 MP MOS sensor and full HD 1080p video resolution (24p, 30p or 60p). 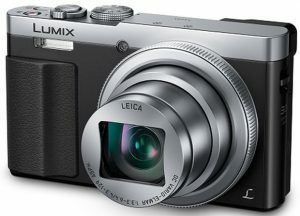 It comes with a 3 times optical zoom lens, while the ISO range (from 125 to12,800) enables you to use quick shutter speeds. A few other highlights of the PowerShot G9 X include built-in NFC and Wi-Fi, remote shooting with their ‘Camera Connect App’, image sync function, mobile device connect button, and ‘star shooting mode’ if you want to get into some photography alongside your videos. 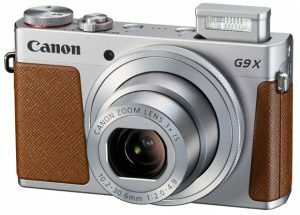 The Canon PowerShot G9 X is a lightweight camera that will fit in your clutch or the pocket of a jacket — definitely not near the bulk of DSLRs. We know many who have both their DSLR as well as point-and-shoot to remain versatile. The Garmin Virb XEvideo camera should definitely be considered if you weren’t feeling our GoPro pick and wanted another one of the top action cameras in the market for under $500. It is waterproof, shockproof, lightweight and easy to use, which definitely makes it an excellent companion if you are looking for a camera that will reliably serve you in all different conditions and at any given location. The Virb XE has a 12.4 megapixel sensor, can film in 1080p or 720p, stores data via a microSD card, and is known for its great image stabilization. You also have something called G-Metrix technology that will add GPS, G-force and orientation to action data. 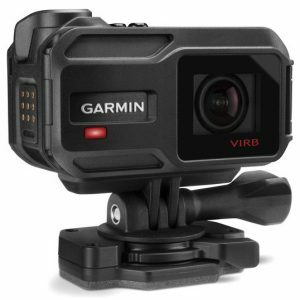 Check out the Garmin Virb XE if you wanted an action camera a little cheaper than our previous GoPro pick. 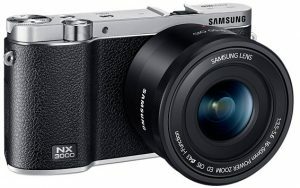 The Samsung NX3000 should be considered one of the best video cameras under 500 dollars if it’s still listed at that price-point — we were iffy on adding it since it tends to fluctuate. This thing however may even be worth spending a few extra bucks for, especially if you want a lighter-weight camera as opposed to DSLRs out there. 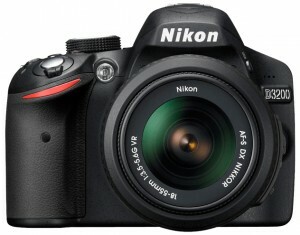 It comes with a 20.3 MP high-sensitivity APS-C CMOS sensor and a versatile 16 to 50mm PZ lens. In regards to construction and look, we absolutely love the elegant and stylish sleek finish that resembles old-school leather cameras. For photos, its viewfinder feature will enable you to creatively control camera exposure, shutter speed, etc. The wide ISO range from 100 to 25,600 of the Samsung NX3000 allows high sharpness of photos even when there are low light conditions. Otherwise since we’re talking video cameras in this guide, you have the beloved 1080p full HD video quality that’ll have you covered. It also made it into our best mirrorless camera for beginners guide. As we had said, it hovers from under to above our $500 mark here and there, but it’s so good we felt we’d add it just in case. We didn’t list 360 degree cameras up top since they’re pretty up and coming and still rare; however, we needed to include this to diversify just in case you were curious about a different type of video camera that’s available to you. We know many who want the latest gadgets and advancements in technology, and this one here is definitely within that category. You know those cameras that can film everything around it? Here it is. Not to mention once you watch the video, you can literally drag around the screen at any angle you’d like. In terms of specs, this is a video camera that is equipped with a 22.6 MP high sensitivity CMOS sensor and a 3-axis sensor that will help you take beautiful, crystal clear images even when you are on the go. The size is quite small and can be set anywhere. It also comes with built-in Bluetooth connectivity for direct transfer of photos and videos to your computer, while its waterproof design will enable you to maintain functionality even when it rains. It is equipped with a full HD resolution and its 32 GB memory will enable you to shoot a great amount of video before needing to transfer. 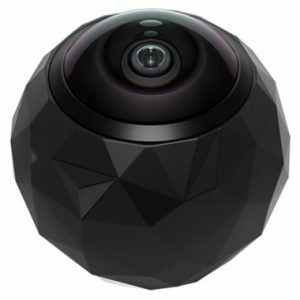 The 360fly HD is obviously different from all of the others, but may be the perfect solution for the best video camera under $500.